The reef was a kaleidoscope of colors, oranges, reds and blues. A shoal of small fish flashed in front of my eyes and then darted out of my vision. This was my second day in Krakatoa. I had left the skyscrapers of Jakarta behind me the day before to spend a relaxing weekend surrounded by the beauty of nature. As I rose back up to take a deep breath of fresh air I knew that I had made the right decision. Krakatoa, or in Indonesian Krakatau, is a volcanic island located between Sumatera and Java. The volcano is most well known for the large eruption of 1883, but is more recently famous as a popular tourist destination. The marine park surrounding Krakatoa offers some of the best diving in West Java (and it’s only a few hours from Jakarta). If you happen to be in Jakarta for a few days on business (or just for pleasure) then a trip to Krakatoa can be the perfect break. 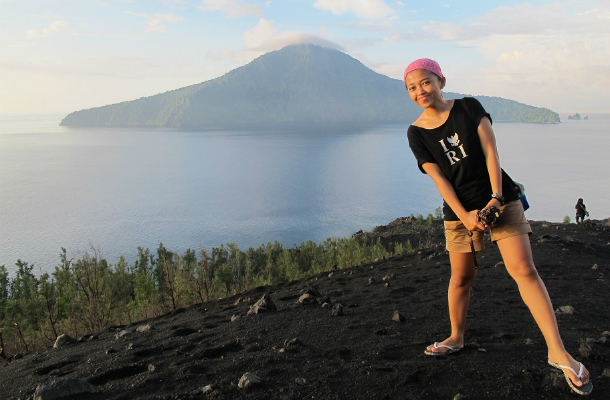 In fact, Krakatoa is one of the best trips that you can do from Jakarta. Within three hours of leaving the city you can be relaxing on a boat enjoying the morning sunshine and listening to the lapping waves of the ocean. As a tourist you have a choice of two options. If you’re rushed then you can actually visit Krakatoa on a day trip from the city. Alternatively, if you have a bit more time, and you really want to relax, you can arrange a two-day one-night tour of Krakatoa. Whichever option you choose you’ll be starting from the same place. Let me tell you a bit more about the tour. Getting to Krakatoa means waking up very early in the morning. If you plan to take the one-day tour then you will need to wake up at 5am. The two-day tour on the other hand starts at 8am, which will give you a few hours more sleep. A chauffeured car will come and pick you up from your hotel for the first leg of the journey to Carita, a small port on the Sunda Strait. It’s a three and a half hour journey from Jakarta to Carita along main roads. There’s not much to see for most of the journey to Carita so going back to sleep in the car is always an option. 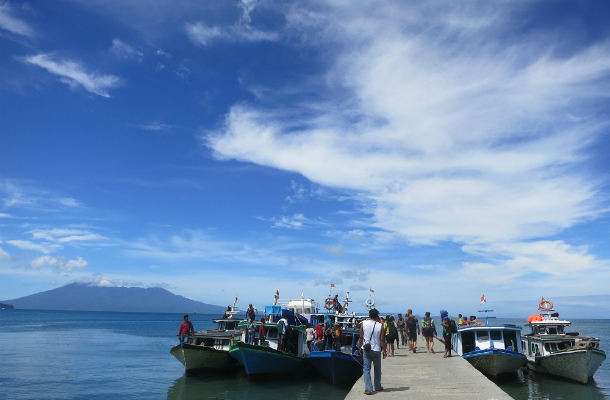 The schedule for the one and two-day trips to Krakatoa changes after you arrive at Anjer harbour. If you are on the one-day tour you catch the speedboat direct to Krakatoa. The journey from Anjer Harbour to Krakatau takes about 90 minutes. You’ll take the fast boat, which is great if you have motion sickness (I didn’t feel very good the first time I visited Krakatoa on a slow boat). With the wind in your hair and the warm rays of the sun you can just relax and enjoy the journey and the spectacular views. For the two-day tour things are a bit more relaxed. You set off from the harbor at around 12 and head towards Rakata Island, for a nice swim and some snorkeling around the coral reefs. After some snorkeling it’s time to return to the beach for some tasty food. Once lunch is over you cruise to Krakatoa. If you are on the two-day tour then the first thing you’ll do when you arrive on Krakatoa is setup the campsite for the evening. Once the tent is setup (and the sun is lower in the sky), it’s time to hike Krakatoa. The beginning of the trek cuts through thick jungle. As you come to the main slope of the volcano the vegetation disappears. The slope is made up of small stones and sand and the climb to the top is a hard slow walk. The view from the first peak of Anak Krakatoa (the Child of Krakatoa as the volcano is known) is impressive. Krakatoa is the tallest point in the surrounding area and from the top you can look over the blue ocean and the lush green islands that surround Krakatoa. After enjoying the view from the top of Krakatoa and taking some photos it’s time to hike back down to the boat for my favorite part of the tour; the snorkeling. I promise that you’ll enjoy this part. It’s a great way to relax after the hot climb to the top of the volcano. 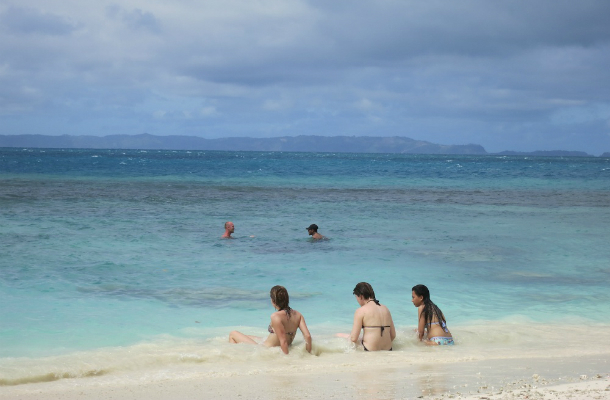 If you are taking the two-day tour you’ll be doing plenty of snorkeling on the second day. 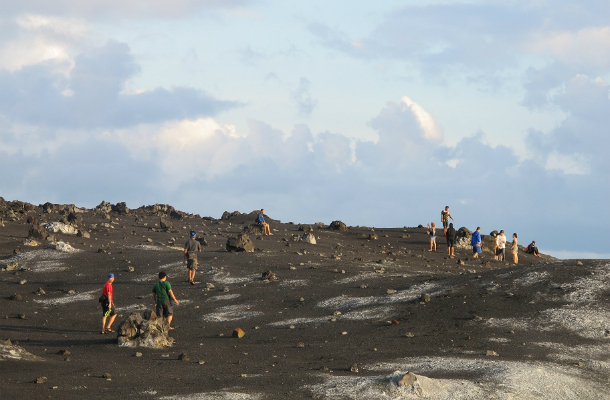 You’ll have the evening to yourself and can relax and enjoy camping on an isolated volcano with a sky full of stars above your head, before snorkeling in the morning. Snorkelling around Cabe Lagood and Rataka Island is really special. 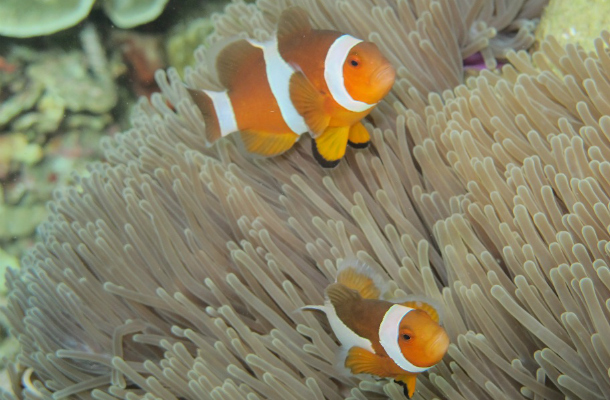 Within minutes of entering the water you will see anemones, trumpet fish, starfish and beautiful coral. It’s a really great spot for diving and snorkelling and you’ll have plenty of time to explore reefs. Once you’ve had your fill of snorkeling it’s time to do everything in reverse. The speedboat will take 90 minutes to bring you back to Anjer Harbor. Your driver will pick you up in the private car for the journey back to Jakarta. Once back in the city the driver drops you off at your hotel. krakatoa is a nice adventure and the perfect break from the Big Dorian. A visit to the volcano combines the chance to see some of the best coral reefs in West java and do some easy hiking. I’ve done the tour myself and it’s definitely something that I’d recommend to friends. Have you ever climbed a volcano? Share your experience with me. I really wish I had gone here last time I was in Indonesia! Can try to visit it next time you come to Indonesia 🙂 Thanks for dropping by. Yes Krakatau is quite easy to reach from Jakarta or Bandar Lampung. This sounds like a fantastic tour, I will be in Jakarta around the 5th or 6th of December, I understand its the rainy/wet season, is the tour still running? If so how much is the two day tour per person for low season? Furthermore do we need to provide our own snorkeling gear? So sorry for the late reply. We are not running the tour at the moment. Will you be running the tour on 1st/2nd Jan (2-day tour for 2 persons)? Please let me know if the weather is ok for visiting Krakatau. Is the tour still running? I have 1 full day available this 15 Jan and hope to do this Krakatoa tour. Hi Ryan, so sorry. The tour is not running this month. Apologize this tour is not available at the moment. Thanks for stopping on my blog. I will be in Indonesia this summer, from 28 June untill 26 July, and I was wondering wether or not the tour will be available during my time there. It sounds like an amazing experience! We arrive in Jakarta on the first and and would like to do the 1 or 2 day Tour. Can you tell us what that will cost for 2 pax? Thanks for stopping by here. Apologies we are not running this tour at the moment. Hi, just to check with you is the tour still available on the 17/18 march ? Hi, will this tour be available in between april 21st and 24th? I’m interested in krakatau tour. My stay in jakarta is from may 15st to 20st 2016. Is this tour (one or two days) available during this time? It is a private trip that requires min 2 participants. Are you travelling by yourself? I am interested in the private tour to Krakatau. I was thinking of doing a one day tour. What is available? The Jakarta-Krakatoa tour sounds great! Can I get the details for a 2 day tour for 02 people please? We are planning on being in Jakarta during the last week of May/first week of June (dates to be confirmed). We will be in Indonesia between July 1st and July 14th, will this tour be running then? We would very much like to see Krakatoa. I’ll get in touch through email. Hey! Is there a tour available on May 28.-29th? We would be minimum two persons. Looking forward for your email. Unfortunately I am not offering a shared tour. 🙁 and this tour requires min 2 people. Hi, is there a one day tour available on July 10th for 2 people? Apologies the tour is not available for 10th July. I hope you can make other arrangements. Hello! I enjoyed your blog post. It sounds like a fun tour. I will be in Indonesia in January 2017 traveling with a friend. Will you be running any tours in January? If not, can you recommend the best way to get to Krakatau? Hi Frank, sorry we are not running the tour at the moment. You can travel from Jakarta to Lampung (go to Chanti Harbour). 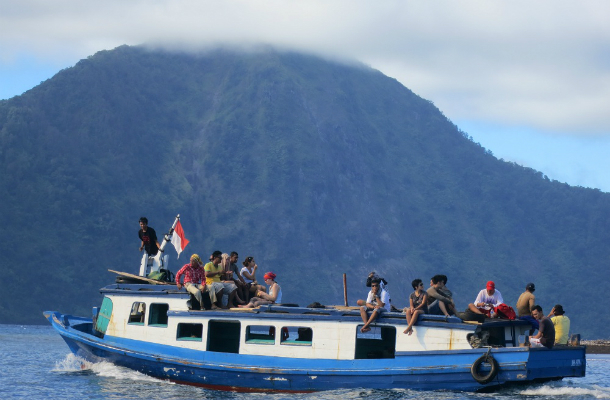 From there you can get a boat to Krakatau (no public boat, so you have to rent a boat or join other group). Is it possible to make it next week (if weather is good) ? What is the price for 2 persons ? Unfortunately we are not running this tour at the moment. I hope you can make other arrangements. Have a great time in Indonesia. i will be in Indonesia in 4.6.2018 to 1.7.2018 and i want visit Krakatoa. Is someone, who want too? Hope you can visit Krakatoa when you are in Indonesia. How many people visit Krakatoa each year? I don’t know. Maybe ask to the National Park? i am in Jakarta. Have you a tour to Krakatau at Thursday? Thanks for getting in touch. No, we don’t have it. Hope you can make other arrangements. I am interested in going to a tour to Krakatoa for two days and one night camping. Where do I find it? Thank you for getting in touch. I’m no longer arranging this tour, apologies I don’t have any recommendation. Is this tour still running? If not, do you know other ways to reach Krakatau? Sorry for the late reply. Our contact is no longer running the tour. I hope you can find something else.